In Lily’s Song, a mother’s secrets, a daughter’s dream, and a family’s loyalty are masterfully interwoven in this much-anticipated sequel to Amazon and Nook #1 bestseller The Secret Sense of Wildflower. “Wildflower” McAllister’s daughter, Lily, now 14, struggles with her mother’s reluctance to tell her who her father is. When a stranger appears on the family doorstep, drunk and evoking ghosts from the past, it threatens to break the close-knit McAllister family apart. Meanwhile, Wildflower has a deep secret of her own. When Lily discovers it by accident, it changes everything she thought she knew about her mother. The events that follow silence the singing she dreamed of sharing with the world. With her signature metaphors, Gabriel weaves a compelling tale that captures the resilience and strength of both mother and daughter, as secrets revealed test their strong bond and ultimately change their lives forever. 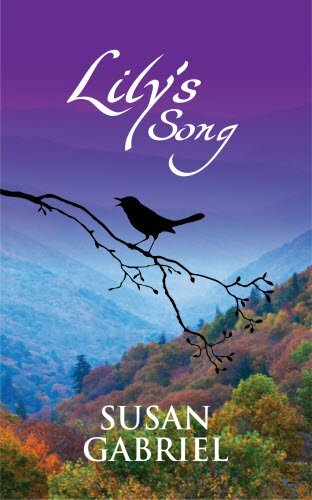 Set in 1956 southern Appalachia, Lily’s Song stands on its own, and readers who are new to Gabriel will be drawn into the world she so skillfully depicts. As a sequel, it will captivate fans of The Secret Sense of Wildflower (a Kirkus Reviews Best Book of 2012), who have eagerly awaited more. Click Buy Now below to get your autographed copy and start enjoying Lily’s Song. Includes a personal thank you from the author and a personal dedication, if desired. Lily’s Song is wonderfully narrated by Holly Adams.